‘Deaseil’ or 'Sunwise' is a superstition from the Highlands and Islands of Scotland. Also known as 'the prosperous course', adherents believed that important yet everyday acts had to be performed in a sunward or clockwise direction; to do otherwise would result in extremely bad luck. 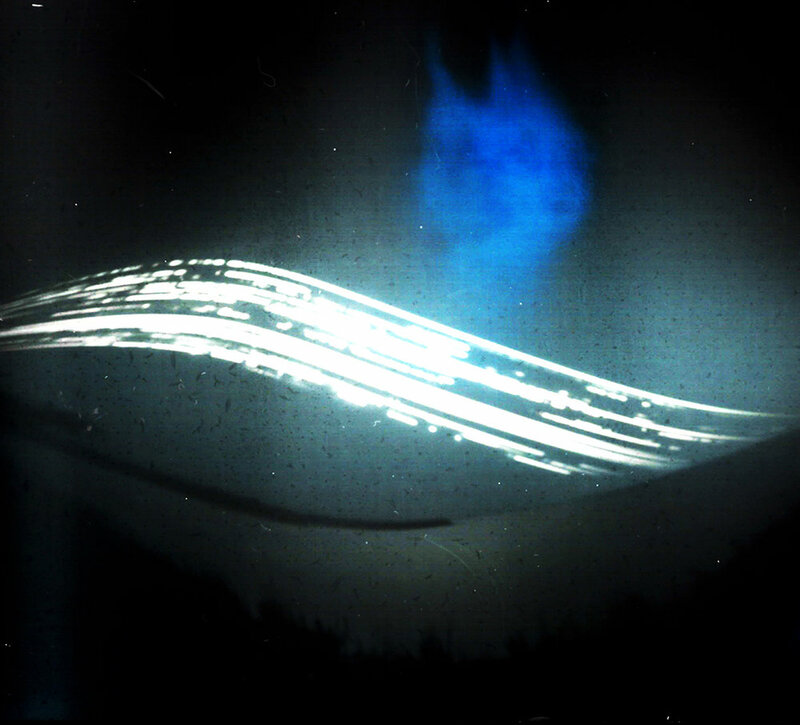 Inspired by the tradition, Lewis-based artist and photographer Jon MacLeod has charted the path of the sun from the shortest to the longest day of the year, using a series of long exposure solargraph cameras positioned across the island, from mountain tops to the moor and sea cliffs. Most of his cameras are made from beer cans, duct tape and cable ties. Given the choice, he prefers Guinness cans, to which he cuts a 0.25mm pinhole and inserts black and white paper photographic paper. Over the course of six months, 75 cameras were surreptitiously sited around the island. The high quantity was necessary to account for losses, several of which occurred through theft, bird attacks, being washed away or shot at. Enough cameras survived the elements to leave the artist with 50 eerie images. Part of the fun of the project, Jon notes, was choosing where to hide the cameras then going back for them: "a bit like laying creels and returning to check what's in them." The project is part of a commission for the An Lanntair 'Creative Places' award. Jon Macleod continues to document his progress on his blog. Jon Macleod recovers a camera from the Ness moor (photo Alex Boyd). Jon Macleod is an artist and curator based in the Outer Hebrides. He works across art forms and borders exploring themes of language, culture and identity through a range of solitary and socially engaged strategies. In recent years he has taken part in a series of residencies, journeys, exchanges and exhibitions with the Finnish/Scottish island collective 'Ars Navigare'. In 2012 he was artist in residence in St. Kilda and is currently artist in residence with WaaW in Senegal.